The Chaga Mushroom is not exactly a good looking fungi, but Chaga is hailed as the "King of Medicinal Mushrooms". 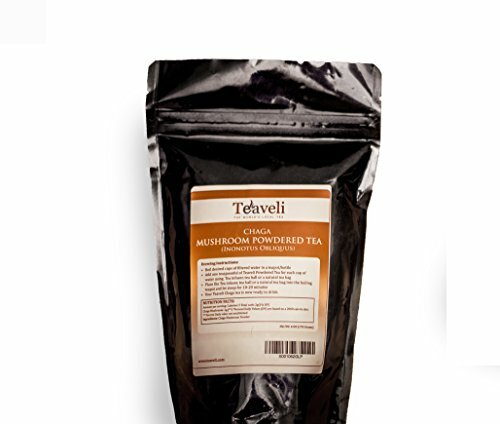 Because of it's many health benefits this is a very special medicinal mushroom that is gaining popularity in the west for its powers and taste when consumed in the form of chaga tea. Chaga's benefits have long been known in the East, where Chaga has been used for centuries by people in Siberia, Russia and other parts of Asia. What is Chaga's Health Benefits? I strongly recommend watching this very informative video below. It's a bit long but really delves into all the benefits of this mushroom. 3. When water has come to a boil place 4 cups in a tea kettle and add the Chaga mesh tea ball and let it steep for 10 minutes. 4. Stir every now and then and watch as the color turns darker and darker. 5. Chaga Tea is a bit bitter, it is often used as a coffee substitute so you might want to sweeten it up with some honey. I received the Chaga Mushroom Tea at a discounted rate in exchange for my unbiased opinion. I liked the quality of this tea and am excited to have found Chaga Mushroom tea.